A luxurious lightweight AHAVA cream infused with botanical extracts that help reduce redness and bring comfort to skin. A luxurious lightweight lotion infused with a hydrating blend of lotus flower, chestnut and shea butter works to soothe sensitive skin and calm nerves. 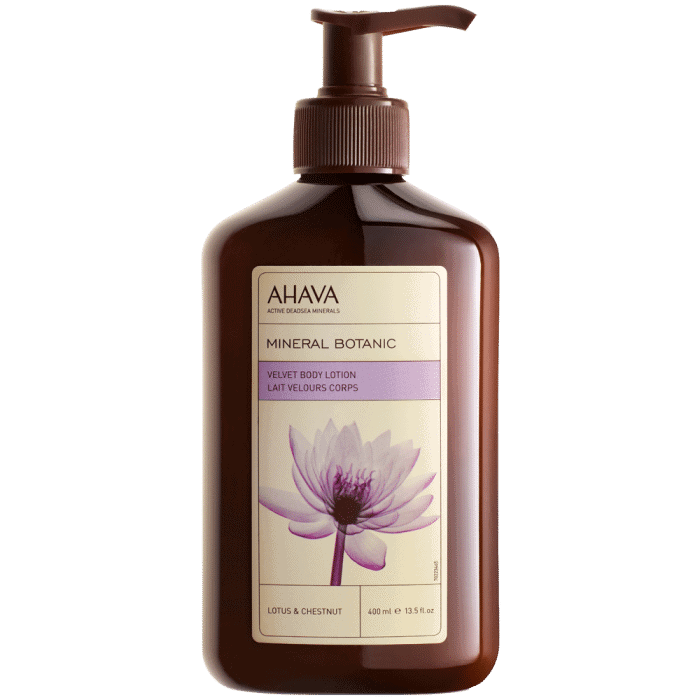 A luxurious lightweight AHAVA cream infused with botanical extracts that help reduce redness and bring comfort to skin. 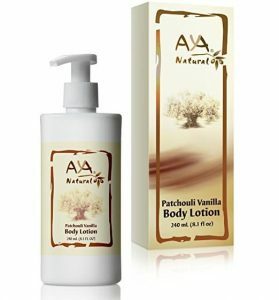 A luxurious lightweight lotion infused with a hydrating blend of lotus flower, chestnut and shea butter works to soothe sensitive skin and calm nerves. In addition, Dead Sea minerals soothe skin and boost its ability to stay hydrated. This lotion matches perfectly with and enhances the fragrance and effects of Mineral Botanic Cream Wash in Lotus Flower & Chestnut Apply to clean, dry skin after using Mineral Botanic Cream Wash in Lotus Flower & Chestnut. Usage: approximately 1 pump for arms, 1 pump for each leg, and 1-2 pumps for the rest of the body. 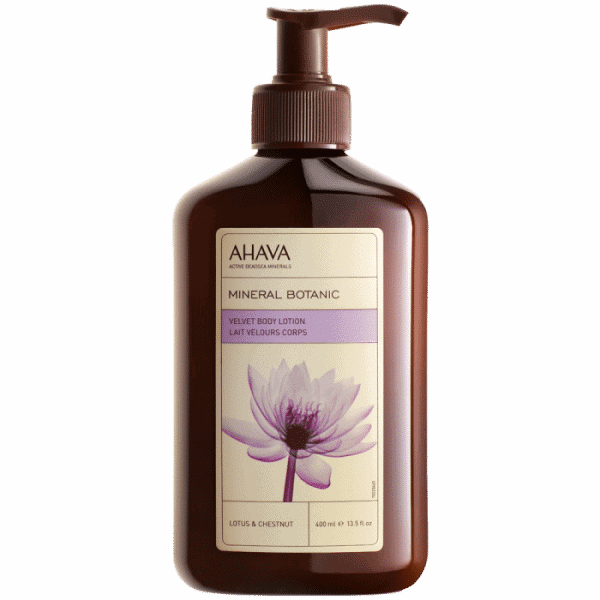 A luxurious lightweight AHAVA cream infused with botanical extracts that help reduce redness and bring comfort to skin. 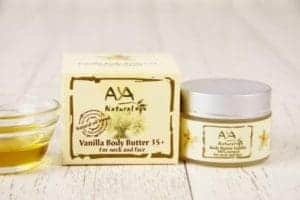 A luxurious lightweight lotion infused with a hydrating blend of lotus flower, chestnut and shea butter works to soothe sensitive skin and calm nerves.